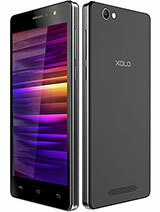 When will update the android version for XOLO q3000. Try to help me..
AnonD-286023, 22 Jul 2014Guys I want to buy this is phone.. Any issues plz provide me your suggestions urgentHello Bro. Its certainly a nice phone as i am using it past more than a month. i would like to list its pros and cons which you can take into consideration and then decide. 1) Brilliant Full HD display with 386 PPI Density. 2) 4000 MAH batter easily lasts for more then a day with moderate to heavy use. 3) 2GB RAM works under the hood really well. Its always advantageous to have more RAM. 4) 16 GB Internal memory is good as u need not buy a memory card. 5) OTG Support is really good. 6) Rear camera shoots brilliant pics and vids in good day light and HDR mode enabled. 7) Front camera is also good for selfies. 8) Build quality is really good. If you wanna enjoy a phone without flip covers or silicon cases go for the Black color as its rubberised grip kind off backcover makes handling easy. White color one does not have it. 9) Touch response is smooth so you will feel like a premium phone in your hand when you use the phone. 1) The phone does get a bit hot when you play hd games or watch hd or full hd videos. 2) The phone's gpu is not upto the mark which makes it laggy at times when you are playing high end graphic games. 3) App memory is very less 0.98GB user available for installing apps but it can be fixed by rooting the phone and installing link2sd and partitioning the SD card and using it to link softwares directly to Memory card. 4) under Low light the camera performance is bad. 6) The OS is ages old. we all are hoping to get KITKAT Update soon as xolo is providing kitkat update to all its recent phones. and this phone is in list. 7) sometimes the proximity sensor does not responds very soon. so screen does not light up even when you take screen away from your ears while talking. but sometimes it behaves well. so i can term it as inconsistent. 8) one thing is really strange is some games lag like hell like temple run oz, subway surfer which are not that high end games. use to run buttery smooth on my karbonn a12+ which had just 512MB Ram and 1.3 ghz dual core processor. with a phone having such massive spec this looks unbelievable that such fuddu games lag when games like Dead trigger and D-Day runs fine. i think something to do with the OS or the screen dimension. but really strange thing. 9) Speakers not at all good. Sound gets muffled if you Play music or video on full volume. if a company boasts that a phone is for entertainment it should take care of speakers. but Xolo was not bothered about. These are the Pros and cons i can list. although i did not found any of these a deal breaker. 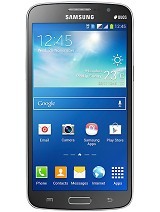 I love this phone as if we can compromise a bit it has a lot of value and entertainment to give us. 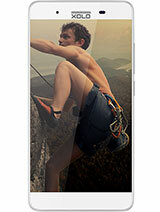 Its brilliant screen can outcast any phone even till the range of 20000 rs. I can recommend this phone to anyone who has a budget till 17000rs. It can outbeat any phone till this range. Amit Gupta, 18 Jul 2014Bro there is no comparison which can be made between xperia c and xolo q3000. Both belong to d... morecan any one tell me is lenovo p780 or xoloq3000 is better only to attend calls and cheking mails every day? vicky, 21 Jul 2014how is the performance?I would not say it is best but yes you can find almost all your needs fulfilled optimally by this phone. It does have a lower frames per second so expect a bit of lag when you play Full HD games like Nova 3 and Dead trigger or Real racing 3 or Asphalt 8. but the gameplay is not so bad either. you have to adjust resolution to play them well. But its never a deal breaker as this phone has a good camera. A decent on board memory. ample of RAM which will never let you stop enjoying multitasking and on top of that to make sure you don't have to carry charger it sports a humongous 4000 MAH battery. 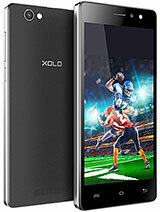 Xolo has made sure that its Entertainment value is not compromised with. A marvelous Full HD display and a battery which can easily last for more then a day. And build quality is top notch. 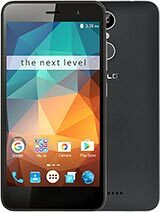 I can recommend this phone to anyone. only thing is it needs a bit of adaptable attitide. if you can give it i can assure you it will return you more joy then any other phone in its price range or even 5000 to 6000 rs costlier then this phone. Amit Gupta, 21 Jul 2014Hello Bro. 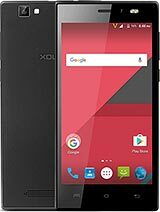 I don't know how come some people are claiming that they were able to update the OS... morehi bro, no update given in XOLO website, but i think may 2014 manufactured set having kitkat. AnonD-285402, 20 Jul 2014I did purchase the q3000 on 25th June when will get the 4.4 updatehow is the performance? suresh, 20 Jul 2014does this phone supports live wallpapers ? In my phone it showing error.Hello bro. It does support live wallpapers and launchers too. i tried some nice live wallpapers but then they reduce the battery charge bit faster then normal wallpapers. i am currently using Next 3D launcher as i don't like stock android that much. Phone works like a charm with Next 3D launcher. you can try it out too. goutham gandhi, 08 Jul 2014xolo q3000 is super phone.xolo q3000 is equal to samsung S5.camera 13 mp is perfect hd capture... morecrap! 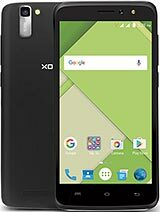 i am thinking of bying this phone(xolo q3000)...i have no such great expectations and requirements..i just want a decent screen with a good battery....screen cracking from 1 feet fall is so disgusting! i might hav to change my mind now! does this phone supports live wallpapers ? In my phone it showing error. Tej, 18 Jul 2014Hi Amit Will xolo q3000 will get 4.4.4 update as some modals aldy got and it was also in the ... morehi, I bought on 25th june and i got 4.4.2 kitkat version.